Georgetown, home to the Most Beautiful Town Square in Texas, has a plethora of restaurants stretching across a variety of interesting cuisines. Although Georgetown might be relatively small in size, compared to most other major cities in Texas, it still has some amazing restaurants that could rival any other large cities’. From the restaurants on the square to the outskirts of the city, there are plenty of hidden gems scattered across the town that are an absolute pleasure to dine in. Some of these establishments are recent newcomers, whereas others have been curating and servicing the public for quite some time. 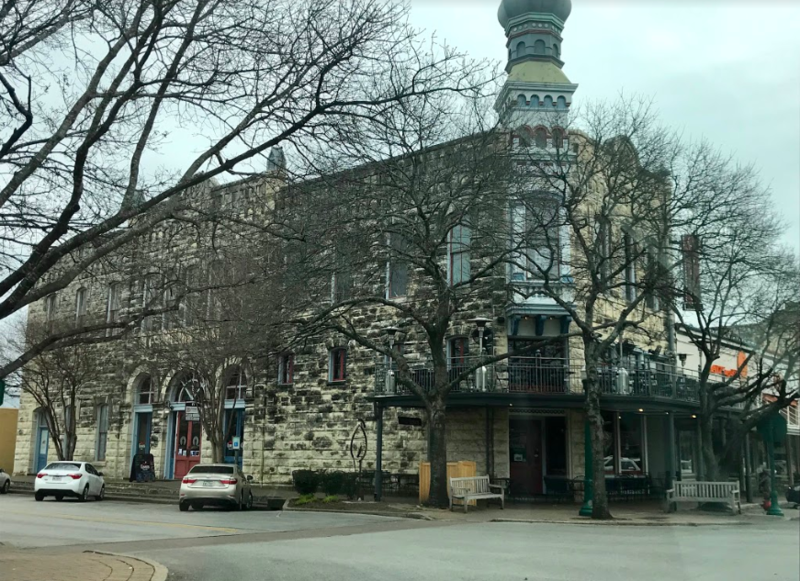 Georgetown, Texas is the perfect place for a unique dining experience that anyone can enjoy! A few of these intriguing restaurants deliver an amazing product for a relatively low price point. A local favorite which serves delicious mexican cuisine is Tortilleria Y Taqueria San Pedro Limon. San Pedro, for short, is a local favorite at Southwestern for their scrumptious breakfast tacos. Another competitor of San Pedro, is El Charrito which also serves mexican cuisine. A few other restaurants in Georgetown also have delectable mexican style dishes. These restaurants include, but are not limited to, Dos Salsas, Sierras, Rio Bravo, and Mariachis De Jalisco. Plaka Greek Cafe serves tasty greek food in a comforting atmosphere. Further down from the square, Shanghai Express serves chinese dishes that are sure to impress a crowd. Lastly, if you’re looking for a lovely sandwich shop, feel free to visit Thundercloud Subs on the square for a pleasant dining experience in their retro diner with quality sandwiches. Georgetown has some spectacular restaurants that offer exquisite dishes for a moderate price point. Nancy’s Sky Garden offers a plethora of healthy food options and creative dishes. Monument Cafe takes comfort food to a whole other level. Jaiwai Thai Kitchen serves a delicacy of Thai inspired dishes. Blue Corn Harvest reinvents the meaning of farm-to-market cuisine cultivating a menu with ingredients predominantly sourced from the local areas. 600 Degrees Pizzeria offers a variety of enticing pizza dishes. Burger University and Hat Creek Burger Company each serves their unique spin on the classic burger. Bob’s Catfish-N-More serves a broad menu of delicious seafood options. BB’s Home Cooking offers an invigorating menu comprised of heartfelt home cooking. Mama Fu’s serves up exceptional asian cuisine in which they also deliver, themselves, to customers in the Georgetown area. Moving up the palate ladder, Georgetown offers an assortment of fine dining. Some of these establishments serve heavenly italian food. These establishments include Milano Trattoria and Tony and Luigi’s where Tony’s also serves mediterranean food. George’s On The Town serves quality american food in a contemporary atmosphere. On the square, there are plenty of fine dining options available. Gumbo’s North curates exquisite seafood options to make your mouth water. Wildfire is an old-school steakhouse with a saloon style bar that offers american food classics. Further from the square, El Monumento serves savory mexican food with an overlook of the beautiful San Gabriel River. Lastly, Georgetown has some sweet treat hotspots and coffee shops that will satisfy any sweet tooth craving. Shake’s Frozen Custard serves frozen custard delicacies and other sweet treats. All Things Kids doubles as a toy store and an ice cream shop. Woops! bakes and sells their own macaroons, sweet treats, and drinks. Zydeco Ice and Hula Cowgirl Shaved Ice both offer their own unique spin on the classic treat of shaved ice! Cianfrani Coffee Co is a unique coffee cafe, on the square, which sells their own style of coffee, pastries, and treats. Sweet Lemon Kitchen is a cute little cafe that makes their cuisine from scratch and also has their own coffee drinks as well. Brookwood in Georgetown has its own little cafe that serves pastries and coffee drinks for all the caffeine addicts. Overall, Georgetown has many delicacies, and a few of these fine establishments are quite popular with the locals. Dos Salsas is a local favorite which provides quality mexican food and is almost always packed with hungry customers. San Pedro is a local favorite for college students where this restaurant curates delicious breakfast tacos at a relatively cheap price. Cianfrani’s is always a hotspot with the college students where they go to study and enjoy a nice cup of joe. Monument Cafe is a monumental hit with the locals where this establishment serves amazing comfort and american food. Besides the restaurants that have been serving the Georgetown community for quite some time, there are some fresh new restaurants that are popping up and are always worth the try!